On December 6, the Central Research Institute of the Electric Power Industry (CRIEPI) of Japan released its economic impact assessment of what would happen if nuclear power fails to reach the official goal of constituting twenty to twenty-two percent of the country's power sources by 2030. The increase in imports of fossil fuels necessitated to cover the resulting shortage of electricity generated by insufficient nuclear power would result in lower consumption and investment, causing real GDP to decline. The report concludes that the decrease would thus have extensive adverse effects on the Japanese economy as a whole. In July 2015, Japan’s Ministry of Economy, Trade and Industry (METI) determined the desirable composition of power sources—the so-called “energy mix”—for the country in 2030. 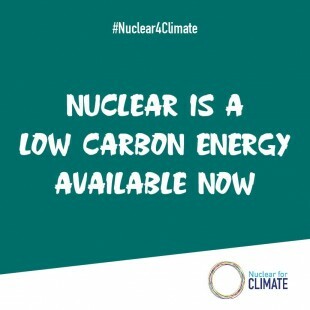 Through a thorough promotion of energy conservation and keeping power demand at 2013 levels, the nuclear component of the mix was set at twenty to twenty-two percent, renewable energy at twenty-two to twenty-four percent, and thermal-powered generation to fifty-six percent. In the latest economic impact assessment, CRIEPI released three different scenarios using its own economic models, calculating and comparing such data as real GDP and production levels by type of industry. The reference scenario puts the share of nuclear power at twenty-two percent of the country’s energy mix in 2030. The second scenario, meanwhile, has nuclear power accounting for just fifteen percent, with the missing seven percent provided for by LNG-fired thermal power. The third scenario, meanwhile, sets nuclear power at the same fifteen percent, with the missing seven percent provided for by renewable energies. According to the report, the LNG scenario, as compared with the reference scenario, would see real GDP falling by about JPY 2.5 trillion (USD22.12 billion at USD=JPY113) by 2030, with the renewable energy scenario having it fall by around JPY2.7 trillion (USD23.89 billion). The causes for that would be three-fold: increased imports of fossil fuels, a decline in real national income resulting from rising prices, and decreased international competitiveness. Broken down by industry type, the LNG scenario foresees a decline in real production of about JPY3.0 trillion (USD26.55 billion) in manufacturing and some JPY1.7 trillion (USD15.04 billion) in tertiary industries, compared with the standard scenario. In the renewables scenario, on the other hand, manufacturing would contract about JPY3.3 trillion (USD29.20 billion) and tertiary industries approximately JPY1.9 trillion (USD16.81 billion). In both non-standard scenarios, the greatest effects would thus be on manufacturing. Looking further at production losses by industry type, the machinery industry, with its high percentage of exports, would suffer more than the materials industry, which consumes a great deal of energy: JPY1.8-2.0 trillion (USD15.93-17.70 billion) for the former, and JPY0.9-1.0 trillion (USD7.96-8.85 billion) for the latter. Given that the machinery industry would be more adversely affected by export declines, there is serious concern within that industry about what would happen if nuclear power fails to achieve its designated share of the energy mix. 12% achievable if 20 nuclear power plants are operated for four decades at a capacity factor of 70%. 24% achievable if 40 NPPs are operated for six decades at a capacity factor of 70%. 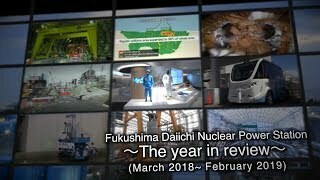 Future issues identified by the power companies include: (1) restarting reactors, (2) improving availability factors, (3) operating NPPs beyond four decades, and (4) constructing new plants and/or replacing older ones.